← More from the Beer Retreat! My next mystery quilt ‘Deco Days’ is under construction and almost finished! All the design work is done, I now need to make the sample taking photos and making copious amounts of notes as I go, then to write the patterns & instructions . Sign up will be Monday 18th February for kick-off late Feb/March. Are you going to join us??!! Art Deco-ish meets Abbie-isms! 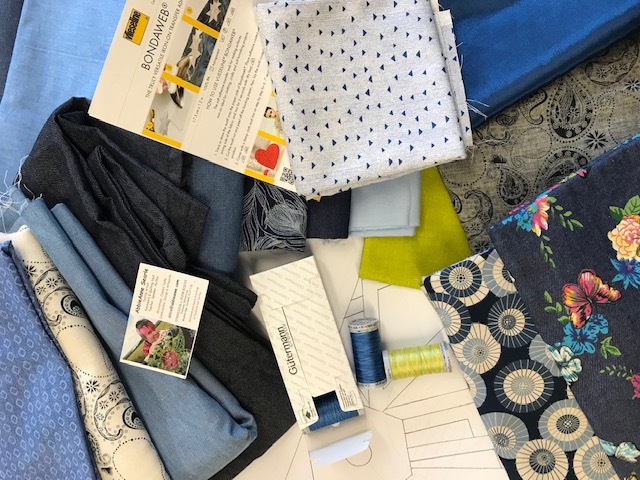 Mine will be mostly blues with some lime…… light weight denims & chambrays…….. Piecing & appliqué….. 20 blocks, scrap n stash or purpose fabric buy….. Contact Abbie to sign up. This entry was posted in bloglog and tagged BOM, chambray, denim, fabrics, quilting. Bookmark the permalink.